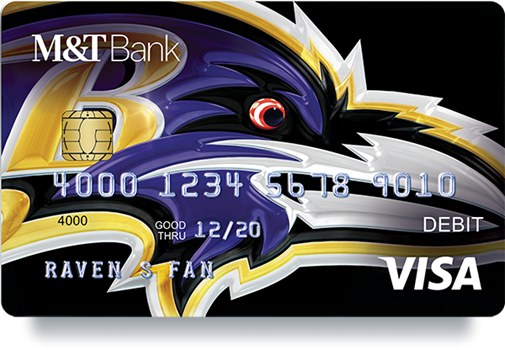 Open any new M&T Checking account to select your Ravens Debit Card Today. 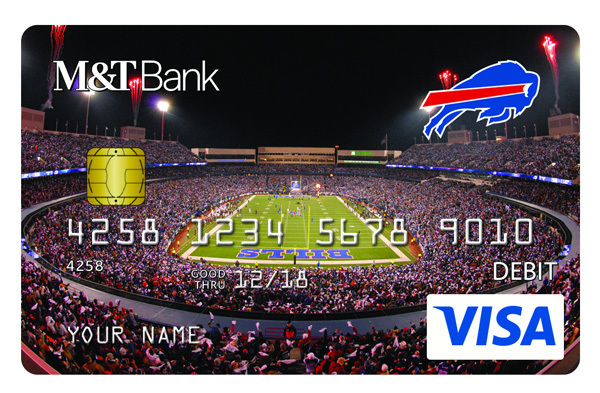 Get your hands on the new Bills Debit Card — available exclusively with any personal M&T checking account. 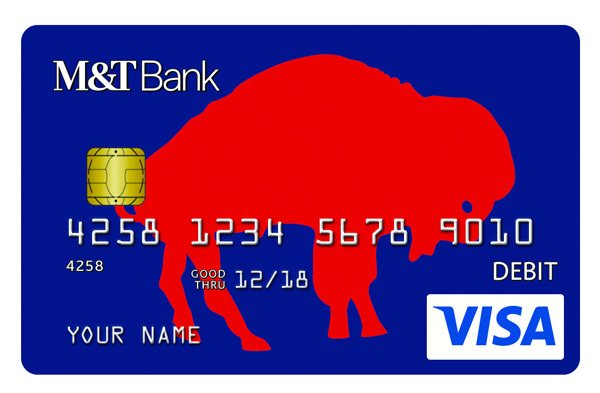 Show everyone your Bills pride every time you make a purchase. Already an M&T Checking customer? 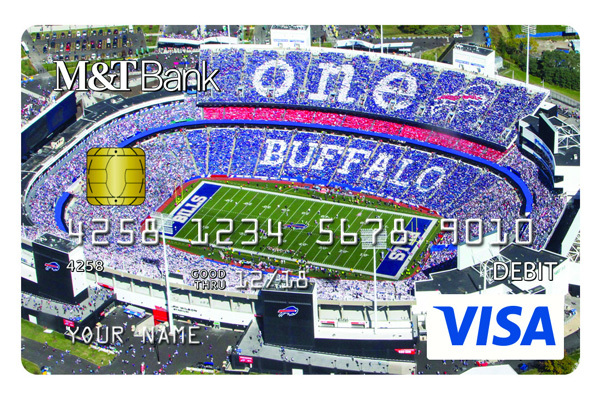 * Use of the M&T Custom Card design service is subject to program Terms and Conditions and Image Guidelines. A $2.95 image set-up fee for each newly approved custom card design may apply. One fee will be charged per approved custom design. Replacement cards will not incur this fee if the custom design remains unchanged. The “Identify Yourself” card is not a form of photo identification. There is no guarantee or expectation that merchants will use a photo on your card as an added form of security.